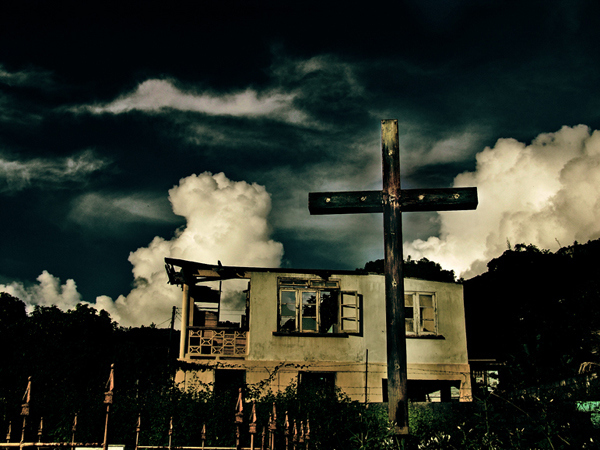 Religion in the Caribbean is an enduring institution and an integral part of our culturescape. Besides the ways it enriches the spiritual lives of religious people, it creates social spaces for communal fellowship and where useful friendships are formed. Religion has also historically operated as a mobilising force against oppression. Recently, the Grenada Conference of Churches spearheaded innovative debt reduction negotiations to alleviate Grenada’s national debt; they continue to engage meaningfully with the Government of Grenada and the IMF to avoid structural adjustment strictures that are potentially damaging to Grenada. I want to therefore state clearly that this article isn’t intended to discredit religion or religious institutions in any way, but rather to question a regional practice whereby religion is allowed to force and shape public policy. Public policy is the action taken by government to address a particular issue affecting the public. As the examples below indicate, religious involvement in public policy in the Caribbean often operates in ways that are not only harmful in their own right, but which fundamentally compromise ‘democracy’, one of the catch phrases, which, together with ‘jobs’, ‘economy’ and ‘development’, politicians pull from the hospital suitcase every 5 years. Currently, there are 3 main regional public policy issues for which religion is allowed to determine the discourse, policy and in some instances, law. Another issue which I address in this article is the banning of artistes with violent/sexual lyrics. The move to challenge some discriminatory sexuality related legislation (Buggery, Cross Dressing and Immigration). There are also other related scrimmages. The Guyana parliament in January 2001 legally amended the Guyana constitution to include sexual orientation as a prohibited ground of discrimination, the President Bharrat Jagdeo refused to sign because of religious pressure, thereby withholding validity to the amending bill, preventing the equality it sought. Also, In Trinidad and Tobago, in March 2013, “ex-gay” Ministries pastor, Phillip Lee was invited to speak at Queen’s Royal College on ‘Homosexuality and the reality of Change’. Sexual orientation change efforts have been repeatedly condemned as dangerous and ineffective by medical professionals and former ex-gay ministries. In 2012, Lee met with education officials to develop an anti homosexuality curriculum. There are now cases before the High Courts in Jamaica and Belize, as well as before the Caribbean Court of Justice (CCJ) challenging legislation which discriminates against LGBTI people. Among the range of responses to the cases, religious organisations have organised public protests; the so called ‘Love’ March in Jamaica (love? *scratches head*) and the ‘March for the Constitution’ in Belize (sarcasm I hope). The marches advocate among other things continued discrimination against homosexuals and the Belize march continues to advance across Belize, with figures of coffins and hanging men bearing the name UNIBAM, the new nickname for homosexuals since the Belize case brought by the organization (United Belize Advocacy Movement) bearing that acronym. People continue to violate and kill people perceived as LGBTI in the Caribbean. The violations and killings are facilitated by hatred of LGBTI people; the hatred is partially facilitated by the kind of marches referred to above which among other things position LGBTI people as different and depraved. In November 2007 CMC reported that the government of St. Vincent and the Grenadines prevented a cruise ship with gay passengers from docking at its harbours. We don’t know whether the move was driven by concern or dislike for the passengers. Also in 2007, the Grenada NNP administration considered banning a gay cruise ship. Then tourism Minister, Clarice Modeste-Curwen stated “As a government, our policy is that we do not support it (homosexuality),” and “We have not taken a policy as to whether the ships should land in Grenada or not,” After several hotel booking cancellations, about one week after the first statement was issued, the minister sang a different song. It went; “We will continue to welcome all visitors and we will work, along with our population, to ensure that their time and ours will be enjoyable. Grenada respects the rights of all persons of all persuasions and lifestyles.” This song change and its attendant circumstances expose our vulnerability as post colonial societies in an increasingly globalised economically unequal world. It should cause us to question our almost exclusive reliance on tourism for economic movement. The cruise was allowed. Religious objectors had much to say; more to say than our Post-Colonial and Caribbean Studies academics. Generally, abortion in the Caribbean is criminalised except in the case of threat to the life or health of the pregnant mother. Cuba, Puerto Rico (being part of the USA), Martinique and Guadeloupe (being part of France), Barbados and Guyana are excepted. Although non-health related abortions are criminalised, 93% of abortions happen for social and not health related reasons. Religious groups in Trinidad and Tobago and Belize objected to the abortion rights suggested by the respective draft gender policies. The objections relate to the religious view of human life as a divine gift beginning the moment of conception; abortion is therefore equated to ‘taking human life’. But what is the ‘human life’ anti-abortionists wish to protect and at what cost? Normally a foetus will develop into a thinking, feeling human being no doubt; but prior to the third trimester medical science indicates it is incapable of feeling, thought and independent survival. The general objection to non-medical abortions therefore absolutely prioritises a foetus (which may be incapable of thought, feeling and survival) over the mother (who most definitely thinks, feels and stands to bear the burden literally and figuratively) and any hardships she might face, including any health and psychological hardships not serious enough to constitute a threat to her health. The objection also prioritises the foetus over the capacity of the mother to adequately provide for a child. In some senses then, the objection is more concerned with the fact than the quality of human life. In Trinidad and Tobago, as previously discussed reproductive rights were consequently omitted in both the implemented policy and the new draft. The omission is somewhat surprising because more than half the Trinidad and Tobago population favoured extending access to abortion (not to suggest that the majority gets to decide these issues) and despite the well documented risks to many women who perform hanger abortions and other unorthodox procedures because the laws deny them access to legal abortion services. As in Trinidad and Tobago, doctors in Belize are alarmed at the dangers and risks faced by the growing amount of women opting for unorthodox abortions; women in the Caribbean want access to this service despite what religion says. These examples are country specific but this narrative occurs across the Caribbean where religious involvement in law and public policy continue to retard human rights. In Grenada, around 2010, Swiss developers Zublin re-applied to the NDC administration for a gambling license to build a hotel and casino as part of a $350 million EC dollar port expansion project. Zublin estimated the project would create 2000 jobs, inject 450 million EC into the economy and boost tourist arrivals. The initiative was supported by the Grenada Chamber of Commerce which argued that it would help Grenada recover from the recession related loss of 800 million dollars Foreign Direct Investment and from the 30% unemployment crisis. The Conference of Churches mentioned earlier for its contribution in spearheading a radical debt reduction effort vigorously objected. They cited as reasons the risk of increased crime, prostitution and gambling addiction. The government didn’t grant the license, citing similar reasons. In a release on the issue, then Prime Minister Tillman Thomas said “I am even stronger in my stance against casino gambling now because I know the majority of people in the country are behind me on this issue” (I must have missed the referendum). The National Lottery Scheme, which by its nature is government organised gambling also falls neatly into that list of accommodations. It is easy then to wonder whether the concerns by the Conference of Churches and the government of Grenada were religious as opposed to a public interest ones, though couched in terms of the latter. When government changed in February 2013, discussions with Zublin reopened; public discussions about gambling also re-opened. There was talk of passing laws allowing casino gambling exclusively to foreign tourists to appease the religious objectors. This awful paternalistic idea would reduce Grenadians to second class citizens on the assumption that we are incapable of avoiding perceived vices and of responsibly managing our financial affairs; I wonder then if government would consider passing a law that only foreign tourists could drink rum at rum shops? (a much more relevant threat to breadwinners’ salaries in Grenada). The Bahamas has benefitted from casino gambling since 1973. However, their casino benefits come at the cost of second class citizenry; local citizens are prevented from casino gambling for the same reasons discussed above and with the churches’ support. In the Eastern Caribbean, Trinidad and Tobago, St. Lucia and St. Vincent all have operational legal casino gambling enterprises. Dancehall artistes, perhaps most notably ‘Vybz Kartel’, have been repeatedly prevented from performing in some places in the Caribbean. Technically the artiste isn’t ‘banned’, but the relevant Labour Ministries refuse the work permit necessary for the artiste’s performance, often resulting in financial losses to promoters. Mostly, the relevant ministry isn’t required to provide a reason for work permit denial, though in the instances where there was some official commentary around the banning, it is evident that officials took issue with the violent/sexual lyrics. The practice amounts to moralistic government censorship. Censorship can be beneficial. Children for instance ought to be protected from material their parents consider ‘bad’ because, being young, they don’t have enough context to absorb such content meaningfully. TV show ratings and age requirements for performances with sexual/violent content are therefore justified. Public radio censorship is also justified because public audiences include children, as well as adults who feel offended by sexual/violent content. No such justification exists for artiste banning. Artiste banning goes beyond protecting children and into controlling what adults can/should consume for entertainment. It not only restricts the free movement of labour guaranteed under the CSME and the artiste’s right to freedom of expression, but also the companion, though conceptual, right of adults to freedom of entertainment. That is, the freedom to be entertained by ‘bad’ artistic content (including not only a Vybz Kartel show but also ‘Scarface’, ‘Project-X’ and ‘Breaking Bad’). The examples above betray the hypocrisy in this kind of moralistic censorship. Is it that Kartel’s lyrics expose people to more ‘depravity’ than Hollywood, or have we bought the idea that violent/sexual artistic content from the global north is more respectable or acceptable than the same content expressed in our own tongues? Conversations around these issues call into question the meaning of democracy. Does it mean majority rule without more? Does it also mean protection for minorities and the restraint of government’s power? Implicit in the last sentence is the notion that a constitution does not merely express the will of the majority, but it also protects the weak and the minority against the tyranny of the majority. Popularism is often inimical to the human rights of minorities and the first function of the courts is to hold all of us to a higher humane standard. The criminalisation or restriction of particular behaviours by any country must be justified. However, such justification cannot be based on religious beliefs without more, even when the beliefs are held by the majority of citizens. This is because no one religion can claim moral authority above all other religions. Therefore any country’s choice to criminalise or restrict particular behaviours must be based on universal principles of justice with moral authority independent of religion; principles that all citizens can endorse, regardless of religion. Moving forward involves understanding our cultural landscape. Religion has been part of the mortar with which our societies were built and are being built. We see ourselves as people of faith (despite the hypocrisy) and our public officials see themselves as people of faith with a public mandate. Strict separation of church and religion is naive. What is helpful is a consistent practice of scrutinising harmful policy decisions as well as challenging the unstated immunity to criticism religious involvement in policy has enjoyed. Religious involvement in law and public policy is inflexible; in fixing itself in a limited philosophical stance, it prevents the dynamism required for practical responses to Caribbean societies’ concerns. When religion influences policy along religious lines, fairness, practicality and justice get sacrificed on the altar of dogma. “Government will therefore fully respect the right of the churches to propagate their understanding of the morality, or immorality, of homosexuality. But what Government cannot do is to shirk its duty to ensure that all citizens, without exception, enjoy the full protection of the law. That same Constitution further declares that all persons are equal before the law and entitled to non discrimination; to freedom from interference with their privacy; and to freedom from unlawful attacks on their honour and reputation. If only more Caribbean leaders were as brave and principled. Religious people have the right to practice, propagate and affirm their religion. They do not have the right to force others to abide by their religious beliefs or standards; Caribbean countries should not be quasi-theocracies. Richie Maitland is a Grenadian attorney and activist. He is currently working as an attorney with the Caribbean Forum for Liberation & Acceptance of Genders & Sexualities (CARIFLAGS) and a Deputy Director at Coalition Advocating for Inclusion of Sexual Orientation (CAISO).